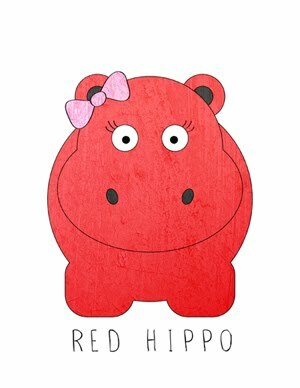 Red Hippo: the state of things. it's been a very long time since i last updated my blog. things in life are never constant. there is always a new challenge or two and the state of things never seem quite, calm. we've had some big changes. we moved from our lovely little pink house in late july and are in the middle of looking for a home that is big enough and safe enough for our budget. while we're looking, we're staying with my mom in her big house- and are so thankful. tony had another heart attack last week. we are reeling from the fear and stress from that- but are living in a state of gratitude for his life, his amazing doctors, and the knowledge that God has him, right where He wants him. last thursday, i kissed all three of my boys goodbye. tony took the kids to daycare and preschool on his way to work and i had a few moments to get ready for my busy day in an empty house. as i was looking through my phone (boredom scrolling) i stopped on a picture of tony and the boys. my heart was flooded by love- but also fear. i had an overwhelming fear for tony and his health. i felt frozen and scared. i emailed tony right away to tell him how much i love him. the feeling of dread for his health and the fear of losing him didn't pass. the whole day i was, off. after work, i hiked with a dear friend and let her know all of the fear i was in, over tony. that night, after we put the kids to bed, tony expressed discomfort. he was clammy (but didn't have a fever) and couldn't calm down. he said, "maybe it's just anxiety from the first week of school." with a new job (the director of HR for the school district), it would make sense that his stress level was elevated. all the fear of my day, all the concern for his health, washed over me again. i insisted on taking him to the hospital. he wasn't having chest pain, or arm pain, or any other symptoms of a heart attack (that we know so well). the only thing that i can say is that, God was telling me something all day long. He was saying- "something, My love, is not right." it wasn't. a blood test confirmed that tony did, indeed have a heart attack. as scary as all of this has been, i am in such awe of the way that my God has shown up in our lives. i could write about all of the fear, all of the pain, all of the worry over our children, and tony's health. instead, i want you to read this. we are okay. we are good. we believe in something that is so much greater than any of the fear and pain will ever be. i am grateful to God for saving my husband for a third time in ten years. i am grateful for our life together, our love and devotion to each other, and our children who bring joy into our hearts every single day. if God cares about the lilies in the fields- he cares about my family. And why do you worry about clothes? See how the lilies of the field grow. They do not labor or spin. 29 Yet I tell you that not even Solomon in all his splendor was dressed like one of these. 30 If that is how God clothes the grass of the field, which is here today and tomorrow is thrown into the fire, will he not much more clothe you—you of little faith? Thanks Rebecca, You have been there for Tony and I'm so glad you and him are living such a wonderful life together. I have met many people in my life and my journeys and none have ever been better than my brother Tony. He deserves the best this world can give. I'm so glad God has surrounded your family with strength and love to get through these battles you have been faced with. I will be saying prayers for you all! Maybe you don't know who I am but I really impressed you are such a good wife and loving care mother to your boys. Tony lucky to have a good family. Hope he will be fine with his health. I believe in God too. Everytime I have family problem I always pray to him and miracles comes to me amazingly. God bless you and family always. Love and miss you Rebecca. I'm glad you shared this, I didn't know. GOD is good.